I love crystals that have unusual formations, it really encourages you to truly take notice of all the little details. The etchings on the surface shimmer in the light. A closer look and you will see all the elestial markings too. 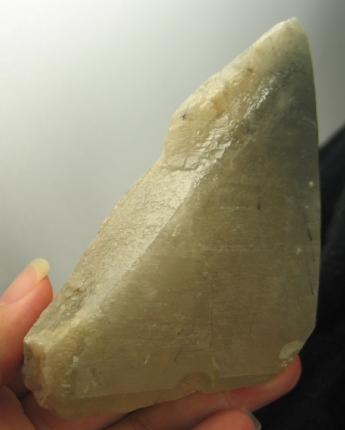 The energy vibrates high and bright, yet there is a strong physical element to the energy of this stone. It strengthens the mind-body connection. Intuition often starts in the solar plexus as a "gut reaction", and this beautiful spirit will help you tap into that energy. Blue tourmaline has a soothing energy and works both the throat and third eye chakras. It is emotionally soothing, helping you to detach from the situation so that healing may occur.The citrine refines and amplifies the energy of the tourmaline creating an energy that is amazingly tranquil. The citrine revitalizes the spirit, but does not make you feel jumpy. It soothes stress and helps lift the emotional burdens on your system. It is highly soothing for extreme stress (including PST), trauma and anxiety. Blue tourmaline and citrine is especially good for anyone who has a long path of healing ahead of them, both physically and emotionally. It has a tranquil energy that also revitalizes you when you need it most. It helps to soothe the anxiety of the unknown and what the future will bring. It will boost your strength and courage to face the long hard days ahead. It will help bring moments of joy and peace when you need it the most. Blue tourmaline is also known for its ability to open the third eye and enhance your higher awareness. It assists one to accept and trust their intuition. It also assists with communications assisting one to verbalize both thoughts and emotions with greater ease. Citrine helps you to let go of your fear, and embrace your gifts. Blue tourmaline is also known as indicolite and is a rare color in the tourmaline world. Blue tourmaline in quartz is a very rare combination, and has been stated to be rarer than ajoite! Blue tourmaline has a soothing energy and works both the throat and third eye chakras. They are emotionally healing, helping you to detach from the situation so that healing may occur. It is especially healing for those suffering post traumatic stress. It has a tranquil energy that also revitalizes you when you need it most. Blue tourmaline is also known for its ability to open the third eye and enhance your higher awareness. It assists one to accept and trust their intuition. It also assists with communications working with one to verbalize both thoughts and emotions with greater ease. The presence of quartz amplifies the energy of the blue tourmaline. 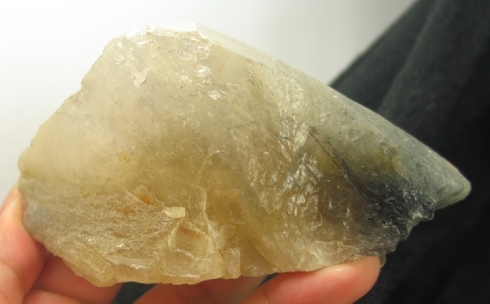 Natural citrine has long been one of our favorites of the quartz world. 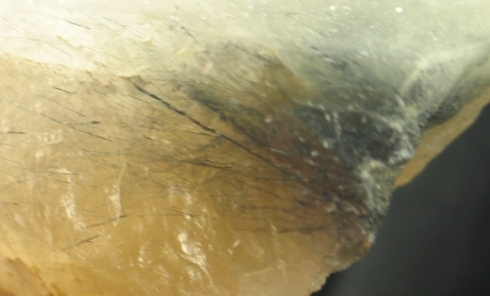 Iron inclusions in the quartz formations give rise to beautiful hues of yellow to yellow gold. This desirable color is often imitated by heat treating amethyst, which gives a more orange hue to the crystals. Natural citrine stimulates the solar plexus and crown chakras assisting one to bring higher vibrational energies into the physical body. It can give you an energetic pick up at any time by placing at your solar plexus and breathing deeply for a few minutes. Visualizing bright white energy streaming into your solar plexus will boost its effect. The warmth of citrine has a soothing effect that counters anxiety and stress. Personally, I use citrine in conjunction with labradorite to help keep panic/anxiety attacks at bay. Citrine is also known as the "Merchant's Stone". It is quite helpful in acquiring and maintaining wealth. 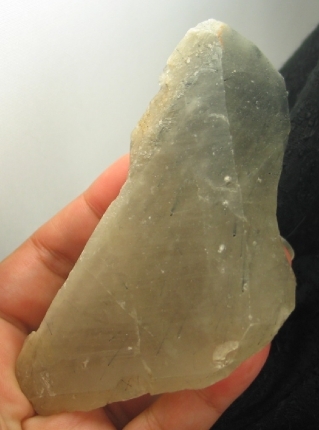 It is an excellent stone for clearing the aura and for aligning the auric body with the physical structure, diminishing the "muddy" areas in both the aura and the physical body. It can act to stabilize the emotions, to dispel anger, and to encourage one to "look toward the sunrise", the freshness of beginnings and the reality of excellence.